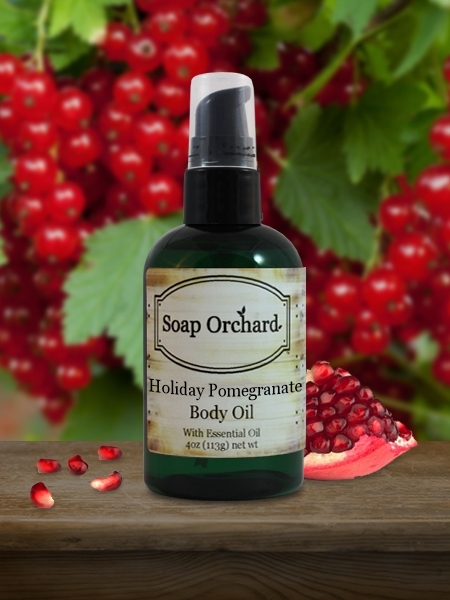 Holiday Pomegranate Body Oil is a wonderful moisturizer with Apricot Kernel Oil and Pomegranate Seed Oil. This body oil has the fruity, floral scent of the holidays and hydrating benefits of Pomegranate. Beneficial for oily skin.